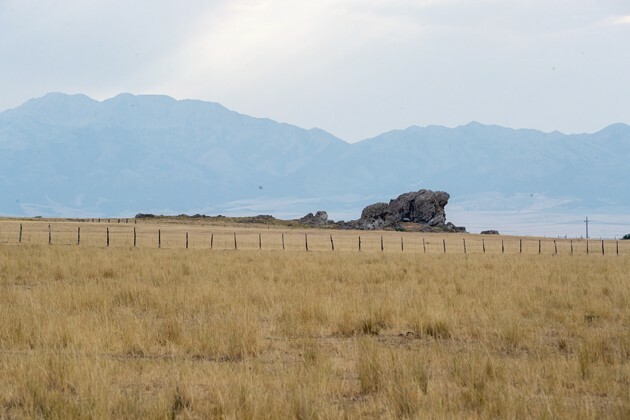 Kennecott is planning to develop over 1,000 acres it owns in the Stansbury/Lake Point area, which includes Adobe Rock. 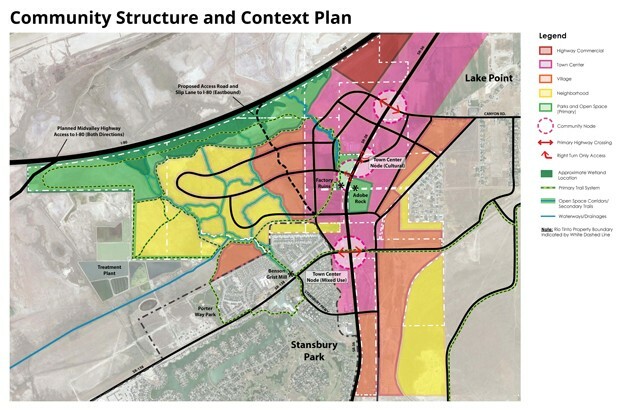 Rio Tinto Kennecott unveiled its plans for 1,444 acres the company owns between Adobe Rock, Interstate 80, Stansbury Park and Lake Point, in an open house at the Stansbury Park Community Center on Tuesday night. With display boards showing maps of development zones and pictures of possible uses, representatives of Rio Tinto spent two hours answering questions and taking written comments from Tooele County residents. Some residents were not pleased with Rio Tinto’s plans that include an estimated 4,710 new residential units to be built over a projected 20-year period. 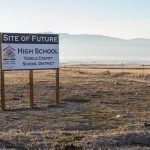 Named Adobe Rock Ranch, Rio Tinto’s development is the first project underway under Tooele County’s planned community ordinance. The maps displayed Tuesday night showed the location of different elements of the planned community. The draft plan showed 52 acres of highway commercial property. Highway commercial uses include light industrial and commercial with no residential areas. The map included 329 acres of parks and open space. There will be a park around Adobe Rock and a separate community center park. The proposed open space also included a trail system around the western portion of the property and green space immediately south of Interstate 80. A total of 359 acres is included in town center areas. Town center areas include a mix of residential office and commercial space. 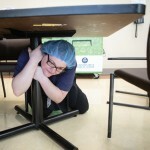 Uses may be mixed vertically, such as apartments over businesses, as well as horizontally. 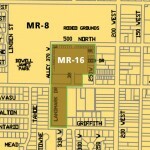 The average estimated residential density in town centers is seven units per acre. Adobe Rock Ranch has 263 acres in village areas. Village areas have high-density housing with a mix of town homes, apartments and condominiums. The average density is five units per acre in village areas. The neighborhood element will take up 441 acres of Rio Tinto’s development. Neighborhoods have single-family residential homes with an average density of two units per acre, but with clustered development to preserve open space, the actual lot size maybe smaller. The town center, village and neighborhood elements will all have 30 percent of their land dedicated to trails, open space and parks. The Adobe Rock Ranch plan includes an extension of Beaman Way to an eastbound slip lane onto I-80. Brent Bjerregaard of Lake Point did not like the plans he saw Tuesday night. But not everyone was entirely opposed to Rio Tinto’s project. Jensen did say that he was worried about the increase in traffic. “We just need I-80 widened or a whole new route into Salt Lake,” he said. Kelly Nieves, Stansbury Park, also said he was concerned about traffic, but he said the kind of development proposed by Rio Tinto could put Stansbury Park “on the map” and make incorporation of the community possible, which is something he favors. Rio Tinto hopes to get approval from the county and to start work on Adobe Rock Ranch within the next year or two, according to Jeff Stephenson, who represented Rio Tinto at the open house. Stephenson estimated that it would take around 20 years to build the entire project, with work most likely starting from the existing infrastructure of state Routes 36 and 138 and working toward the outside of the development.